Carrie resides in Coal City with her husband and two children and enjoys being able to live and work in the same community. 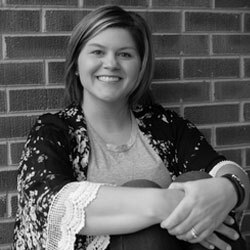 Carrie is a graduate of Monmouth College with a BS in Elementary Education and Spanish, and a Masters in Instructional Technology from Lewis University. Carrie has been involved in the educational setting for over 10 years teaching Spanish to Coal City students. Her husband Adam is also involved in the district as he coaches the Freshman football team – Go Coalers! After obtaining her real estate license in 2015, Carrie has worked with both buyers, eager to purchase their first home, and sellers looking to make a new move. With her strong background in education, Carrie is able to apply many of the skills she uses in the classroom into the real estate world. She is organized, friendly, hard-working, and determined to meet her clients’ needs.